I have proudly indulged in Ben & Jerry’s ice cream for over a decade. It’s unique flavor combinations have complemented my high school breakups, accented my gossipy girls nights in, and served as the perfect pick-me-up after long, stressful days at work. 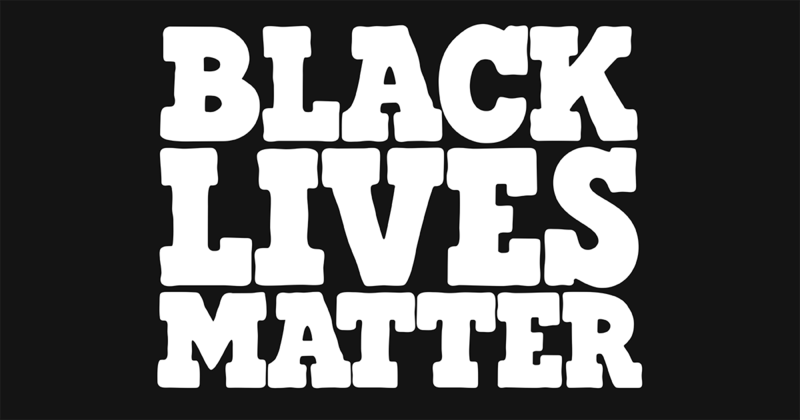 But last week, when I found out that Ben & Jerry’s released a bold statement standing in solidarity with the #BlackLivesMatter movement and speaking out against systemic and institutionalized racism, I had never been so proud to have given one company so much of my money over the years. 1. As Black people, we know that our fight for justice won’t be met with overwhelming scrutiny and criticism from our own community. White people don’t. It’s important to note that Ben & Jerry’s target consumers are high-income white people. While their ice cream is delicious, a pint of it will run you about the same if not more than a half gallon of your local grocer’s owned-brand. That being said, a company of their caliber and decades of industry experience knew to anticipate resistance from the majority when they decided to release their statement on Black Lives Matter and systemic racism. So while I was in the midst of celebrating Ben & Jerry’s bold disruption of the status quo, armies of resistant protesters began to assemble close by, demanding to know how dare Ben & Jerry’s align itself with a movement that strives to interrupt white dominance and create a system that no longer disproportionately harms and marginalizes communities of color? As a Black woman, I don’t know what it feels like for my stances and opinions on racial justice issues to be criticized and rejected by my own community. In fact, it’s been incredible to witness and be a part of the solidarity and unification that has developed and flourished in our community over the last couple of years since the Black Lives Matter movement began. The resistance that Ben & Jerry’s has been greeted with is a reminder that the same isn’t true for the white community. There isn’t alignment around which side of the movement to stand on. And scary enough, the voices chanting ‘All Lives Matter’ or ‘Blue Lives Matter’ have the capacity to drown out the bold voices of the Black Lives Matter allies. 2. Allyship with the dominant and privileged populous is an important facet of the movement. As powerful as we are on our own, there is strength in numbers. I recently wrote a post titled “Dear White Friends, ‘Not Being Racist’ Isn’t Enough,” which was shared by thousands of white people across the globe. It’s the process of white people leading conversations and actions around racial justice in white spaces with other white people that is a crucial part of the movement that can’t be ignored or underestimated. We tend to look back at the Civil Rights Movement as an example of what’s possible today. What is often missing from that conversation is the fact that the same issues of white people feeling like it ‘isn’t their place’ to fight for racial justice today were salient 50 years ago as well. In 1963, nearly 75% of white people said in a national survey that ‘Negros should have the right to use the same parks, restaurants and hotels as white people,’ — and yet, few were doing anything at all to make that a reality. Just two months before The March on Washington that would change our country forever, the ‘Big Six’ Civil Rights leaders strategically add four white men to their roster. Why? Because they knew how crucial it was to demonstrate how important it was to white people that Black people desired change. All of this to say, white people serve an important role in the civil rights movement of the 21st century as well. We are only 13% of the population, and cannot–nor should we have to–do it alone. Ben & Jerry’s, a company that was founded in Vermont–a state that is 95% white–and a company whose products primarily resonate with wealthy white consumers, is playing an important role in shaping the conversation and perceptions around Black Lives Matter in the white community–because backlash can move the conversation forward in a way that silence cannot. 3. With the weight of these issues, we all need some comic relief. Almost immediately after the Ben & Jerry’s + Black Lives Matter alliance went viral, people took to #BlackTwitter and began making up hilarious names for new Black solidarity-themed ice cream flavors. #BenAndJerrysNewFlavor became a trending topic across the country, with over 10,000 tweets dedicated to it. As heavy and burdensome as the country can make being Black out to be, it’s the spirit of humor and creativity in our community that ignites our magic. Check out the most popular flavor names from ‘Hands Up, Don’t Scoop’ to ‘He Was Unarmed Dough’ for a good dose of laughter.